Like many China-watchers, I cannot tell you when the better part of my day became dedicated to blog-reading. Background to my everyday routine is the murmur of botched lawsuits, human rights violations, incompetent local governments, nationalist rhetoric, internet memes, and ridiculous acts of indulgence committed by 富二代 (fu’erdai – second-generation rich). Sometime in the past year I’ve started to slouch a little, as if the weight of China’s unpublished atrocities is resting on me, the reader and the blogger. Only a pen, to give to my mother. I only want to be an individual. Separates the order of the living and dead. The better to obscure the wind of freedom. There will seep forth a blood-red dawn. It is easy to see how the poem could inspire thousands of post-communist era youth. “Perhaps the final hour has come.” This single statement sets the tone remarkably well. Here is an unnamed individual whose world has come to an end, and he meets it with unbreakable calm. “In a time without heroes, I only want to be an individual.” Bei Dao hits chords of both generational abandonment and individualism – a single note that rings vibrato with the generation who missed out on an education in order to labor in the countryside. This was Bei Dao’s generation, ten years senior to the Tiananmen kids, but of similar mindset. It’s as if Henry Wadsworth Longfellow were to despair over the fate of the dumb, driven cattle! And yet, there is something to die for: the act of dying for something. To die with principle – to become a martyr – implies that there is something greater than the mundane, something confirmed only through self-sacrifice. “I will not kneel on the ground, Allowing the executioner to look tall, The better to obscure the wind of freedom.” The poem ends with imagery of a red dawn seeping through bullet holes. Bei Dao is known for the last two lines of his poems being the most compelling, and here he prophesies the violence of self-sacrifice with spooky accuracy. Had you told me after reading this poem for the first time that I would be spending my next Chinese New Year with his family in Hong Kong, I would have been very angry. Sometimes fate works out so perfectly that there is no way to understand it. I would have been furious if someone had broken my own fate with such surreal news. At the time (last summer), Bei Dao’s poetry stewed in my mind as it took on a role of supporting actor in the background play of my everyday routine. I taped “Proclamation” to the shelf above my desk, and it noiselessly proclaimed over my head as I continued research on urban development for my Master’s thesis. The project was then progressing at a slow but metered pace. I had no intention of changing direction. In truth, it was turning out to be a case of 当局者迷，旁观者清(those in the game are lost, but spectators see it clearly). Somehow I felt unqualified to even answer that question. 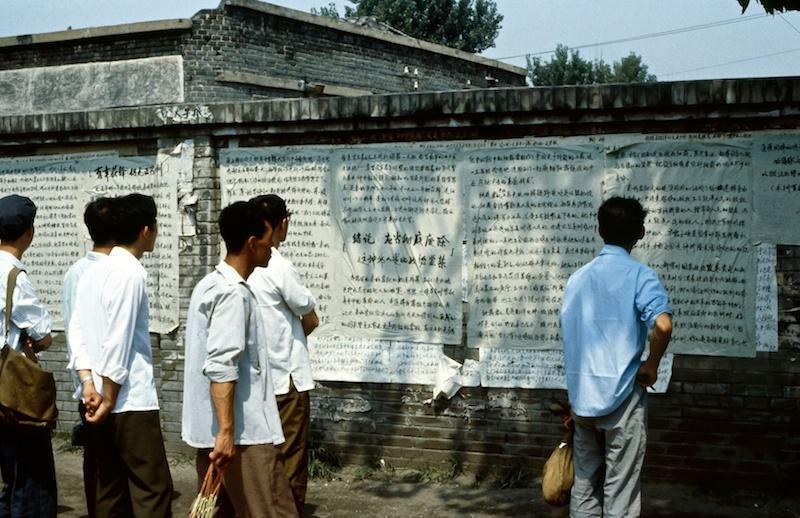 “Modern China….and Chinese literature, I guess.” Chinese societal issues, the passion of the 1980s youth generation, democracy, the modern hero–the martyr! A good story about a poet-in-exile. I thought of the poem above my desk. 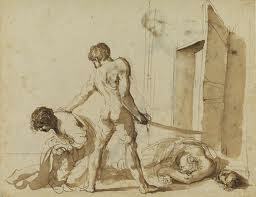 A lustful impulse seized me, as if seeing an exit to a mediocre relationship to be with a much more attractive partner. My professor didn’t even ask to be my advisor – like an eager bridesmaid, he insisted on being the Maid of Honor. Opportunity unfolded like a yellow brick road before me. A former college professor put me in touch with Bei Dao’s friend and translator, Lucas Klein. I was invited to Hong Kong for Bei Dao’s International Poetry Nights conference the next week. I read books, I translated poems, I struggled to find information. I met poets and critics and translators. I met Bei Dao. I am nowhere near being an expert on the Misty Poets (yet), and still I see a window of opportunity through which I can do some public service on their behalf. Although their presence in China was short-lived, the Misty poets nevertheless deserve their proper place in China’s literary and historical narrative. The greatest danger of being a martyr is that your sacrifice will not be remembered — or worse, misunderstood. It was to this end that Bei Dao gifted me a stack of first-hand materials after our New Year’s dinner. He explained what needed to be discussed about the Misty Poets; what the other researches had overlooked or misconstrued; what hadn’t been done before. Am I up for the job? You bet. First posted on Jan 27, 2012, at Seeing Red in China. “Misty” （朦胧） is the title conferred upon a group of poets known during the Democracy Movement （1976-1980）for their unique style. Some, such as Ai Qing, Ai Weiwei’s father, called their work “obscure” (古怪), even poisonous. At the very least, it was certainly daring. So daring, in fact, that three of the leading Misty poets were exiled for inspiring the Tiananmen youth. 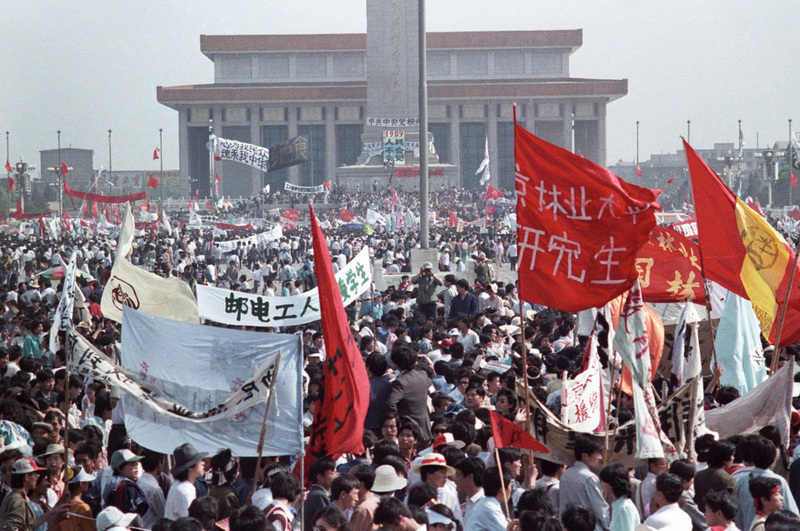 Misty poet Bei Dao was not even in China when the demonstrations occurred, but he was nonetheless not allowed back for twenty years, since his poems appeared on banners at Tiananmen Square. 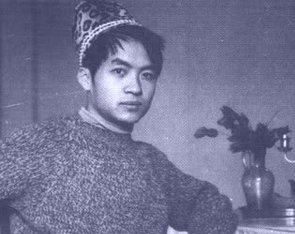 Other well-known poets include Gu Cheng, Mang Ke, Shu Ting, and Duo Duo, all of whom were self-educated during the Cultural Revolution and thus considered themselves members of the Lost Generation. 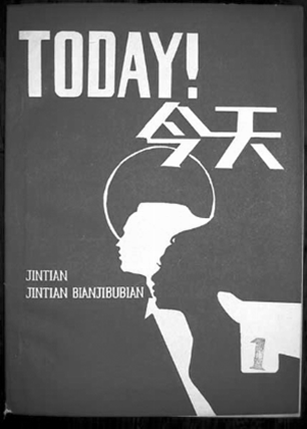 They became well-known amongst educated reading circles in 1978 through the publication Today 《今天》. This news is a bit outdated now, but it has been a crazy month. And it started with a five-day poetry conference in Kowloon. It was my first time to Hong Kong. The adrenaline rush of being in a new city – Hong Kong of all places – clashed with my swirling ignorance about the place. The trip started (after 8 hours of travel) with me wandering around Chinese University’s campus, following e-mail directions from a stranger who told me that I had been put up in a dorm at Chinese University by a friend of a friend of a friend. I was carrying the weight of an under-thought Master’s thesis to a conference of literary big-shots. Also, it took me an hour to find a drink of water (can I drink from the faucet? Where is the nearest Seven-Eleven? Which subway stop?). Being in a new city feels like a constant upstream battle. I had not realized how comfortable I had gotten in my Nanjing water well until I got to Shenzhen and had to follow the funny-looking pinyin to guess where the border-check was. Hey, expats thrive on that stuff. Leo Ou-fan Lee, Tian Yuan, Xi Chuan, Bei Dao, Liang Wendao. What a line-up. Bei Dao, incase you don’t know, is considered by many to be the most accomplished poet of the Democracy Movement (a Misty poet, but I prefer identifying him with the DM, albeit that is also limiting). He was exiled after the Tiananmen Massacre, not because he was a participant (he was actually lecturing in Europe at the time), but because his poems had appeared on banners and in songs. He has been repeatedly nominated for the Nobel Prize in Literature. He is now a professor of Chinese literature at Chinese University in Hong Kong. He is also the focus of my Master’s thesis. Bei Dao was a gracious host even to the lowly graduate student of shallow poetry appreciation. I approached him at one poetry reading to schedule a meeting, and he patted the seat next to him. We chatted at unpretentious ease up until Regis Bonvicino (Brazil) got onstage, at which point I actually felt no need to give him space. He radiated kindness. You don’t often hear that about people. China lost a great man when they exiled him for, um, inspiring the youth…with his poetry. Liang Wendao was of course a celebrity appearance among celebrities, and I made sure to attend his panel, “Chinese Poetry: Negotiating Dilemma.” Most of the speakers resisted taking the bait of bemoaning poetry’s relative unpopularity in China. They instead talked about the relative [in-]significance of online-speak (网络语言 – it only involves a certain demographic; which I think means that it will become a classist dialect of sorts), the anxiety of being a colonial subject (that was actually Vivek Narayanan of India), and poetry being a sort of lifestyle. I wasn’t crazy about Kunming poet Yu Jian’s claim that English does not carry the poetic weight that Chinese characters inherently do, especially given that he does not know English (it just smacked a little too much of Chinese exceptionalism. And I let him know.). Mr. Liang finished his panel with “我们不懂诗的时候，我们【这个时代的人】都怪作者。”(“When we don’t understand poetry nowadays, we blame the writer.”) Speaking of charisma, by the way, Mr. Liang is a bubbling charisma fountain. Afterwards, my bus passed him as he was leaving campus for a smoke (in Hong Kong you can’t smoke on campus!). We made eye contact and both burst out laughing. Pretty cute. I left the conference with a new poet and friend Xi Chuan (link different than previous one). Like Bei Dao, he is completely comfortable being genuinely kind. His poetry stood out among the recitations, his understated attitude all but testifying to the latent passion of his words. You can read a few of his poems here. I have his friend and translator Lucas Klein to thank for having introduced us, and also for having told me about the conference in the first place. I finished the weekend writing a thesis prospectus in my Chungking Mansion matchbox. It was so wonderfully reminiscent of Gordon Matthews. Fascinating- thank you sincerely for sharing! What Chinese books to read?